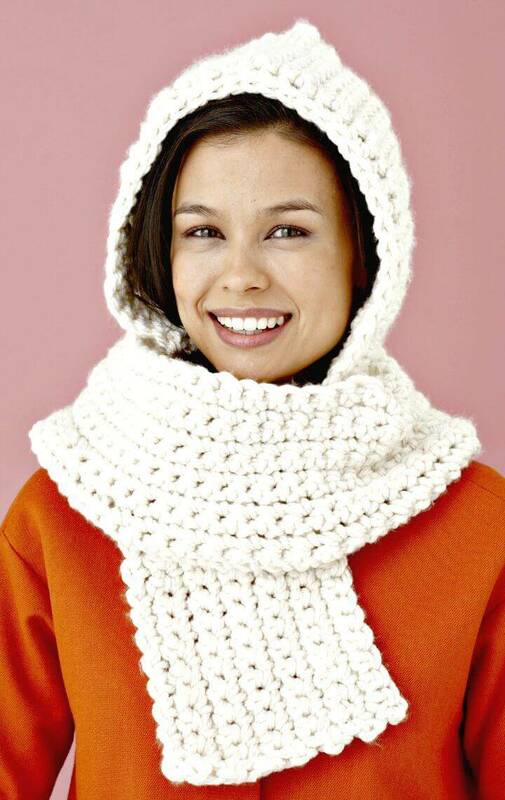 You have to cover your both neck and your head in the dead of cold to stay warm and cozy! 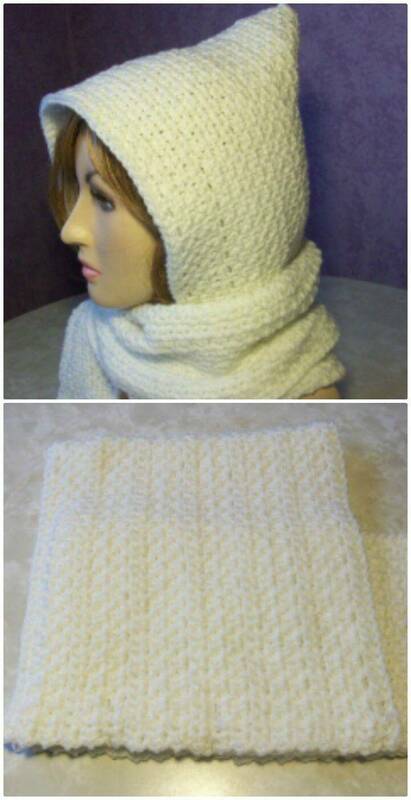 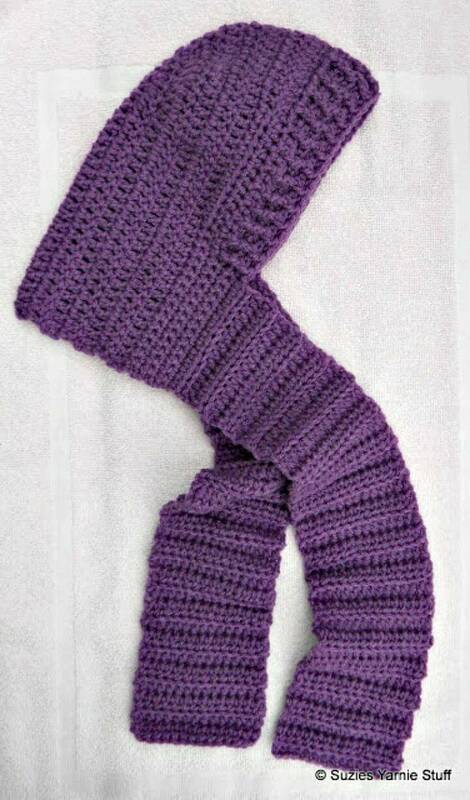 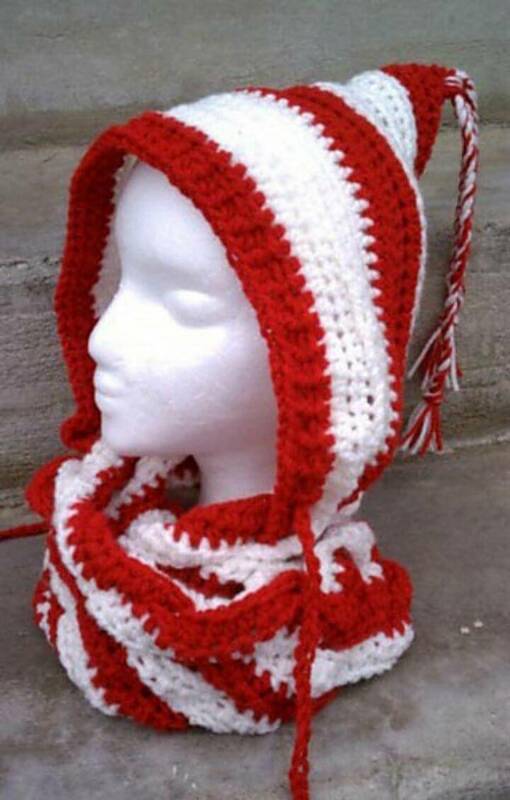 So, there can also be a great 2 in 1 replacement for both scarf and hat and this would be a hooded scarf! 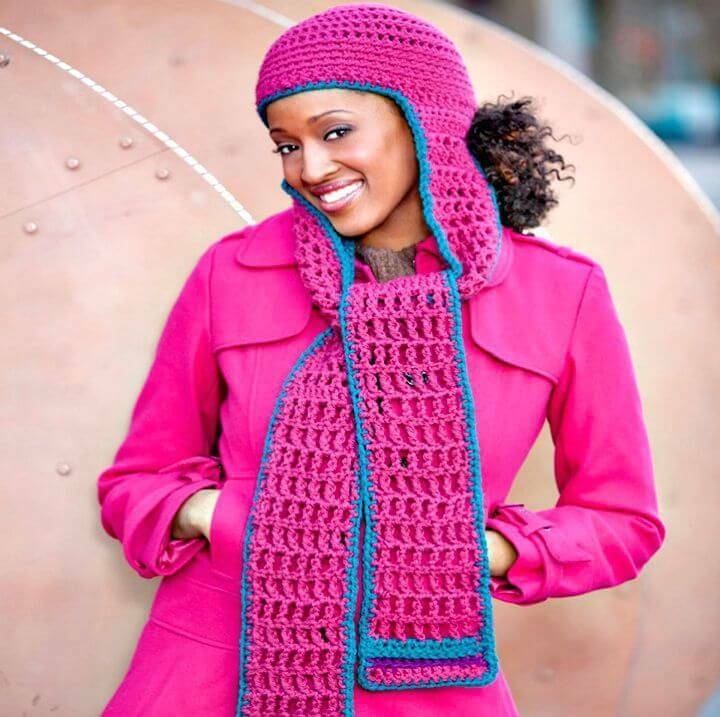 Crochet hooded scarf is a big hot trend and they help you gain amazing winter protection without sacrificing your fashion and style! 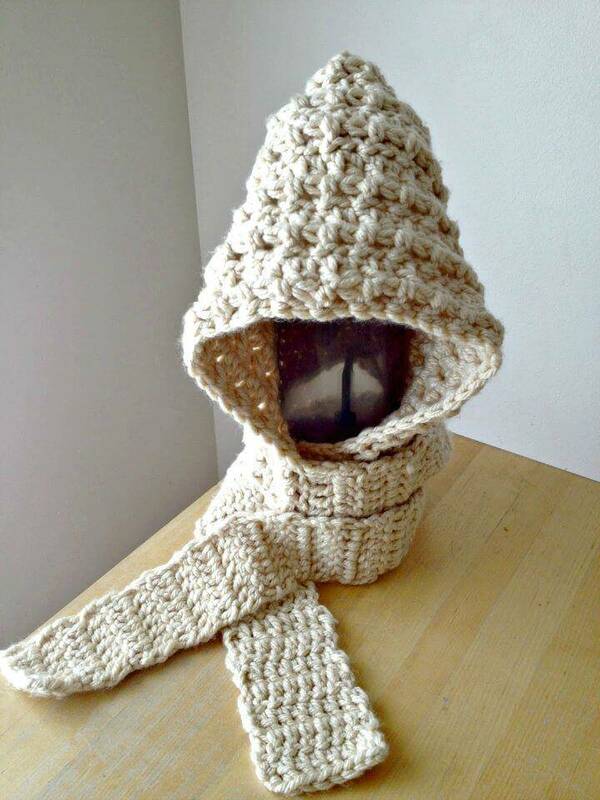 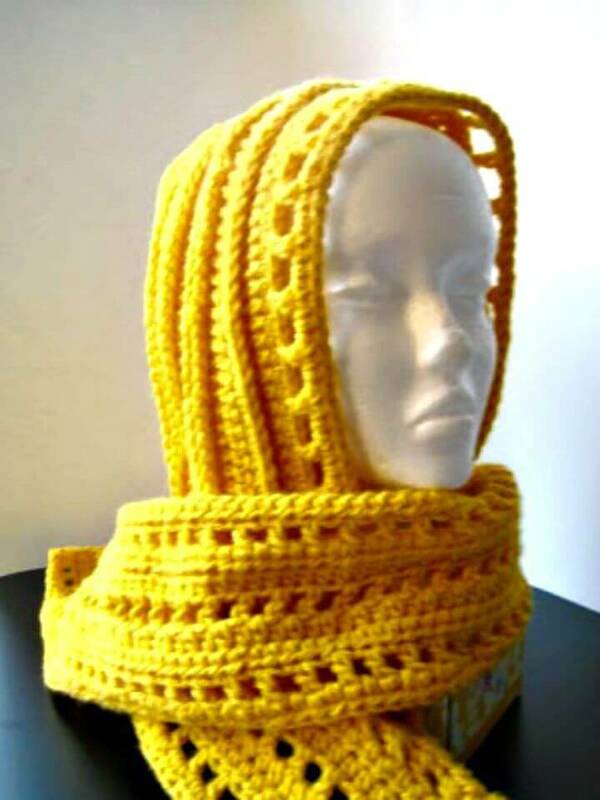 So you can prefer hooded scarves for cute style statements in winters and if you know how to crochet then you can also crochet various outstanding design of yarn hooded scarves too at home that will super warm and cozy too! 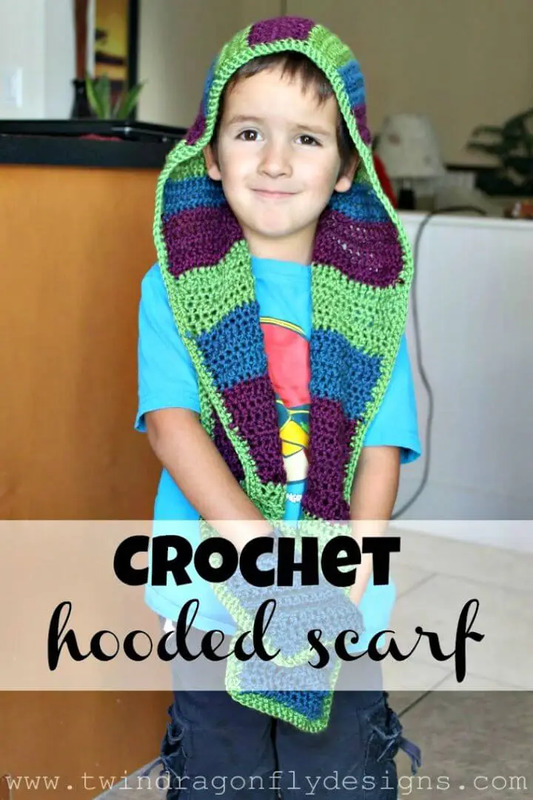 There are various crochet hooded scarf designs or out there that are popular around the glove and we have also shared here a list of them! 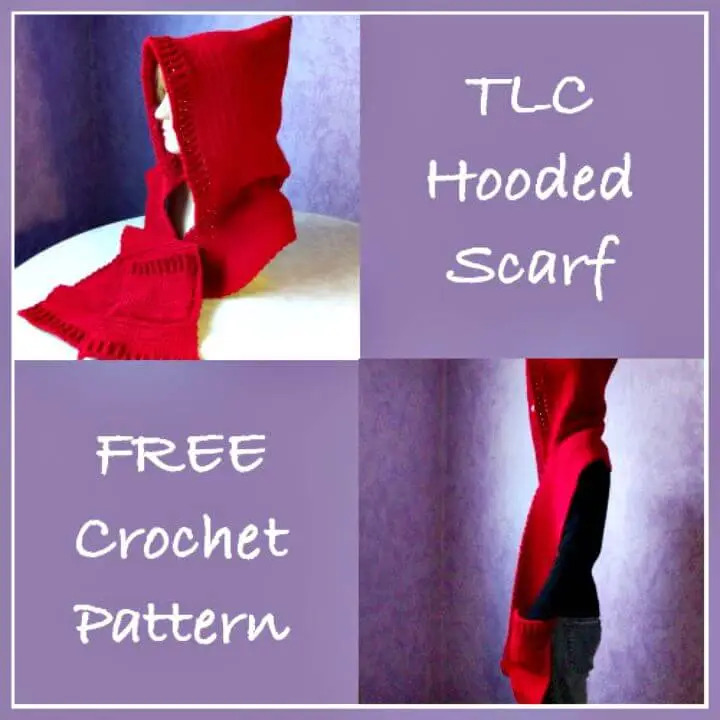 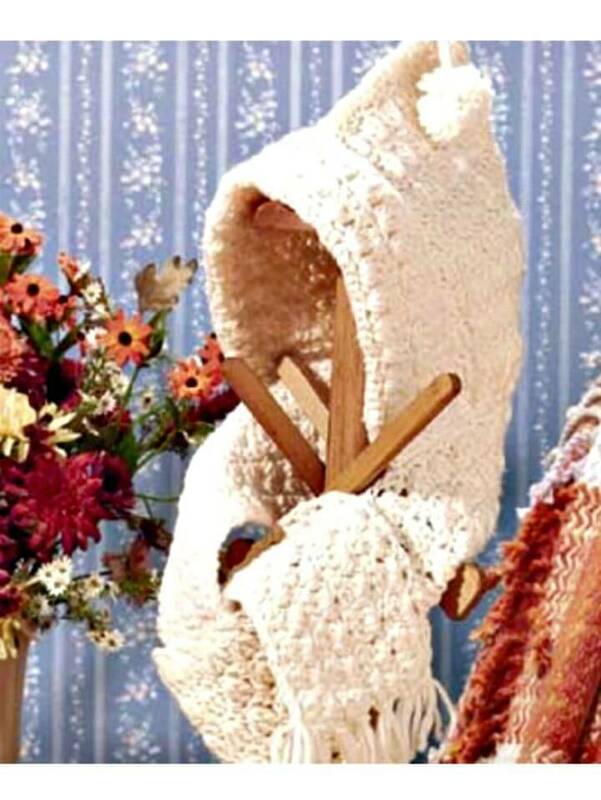 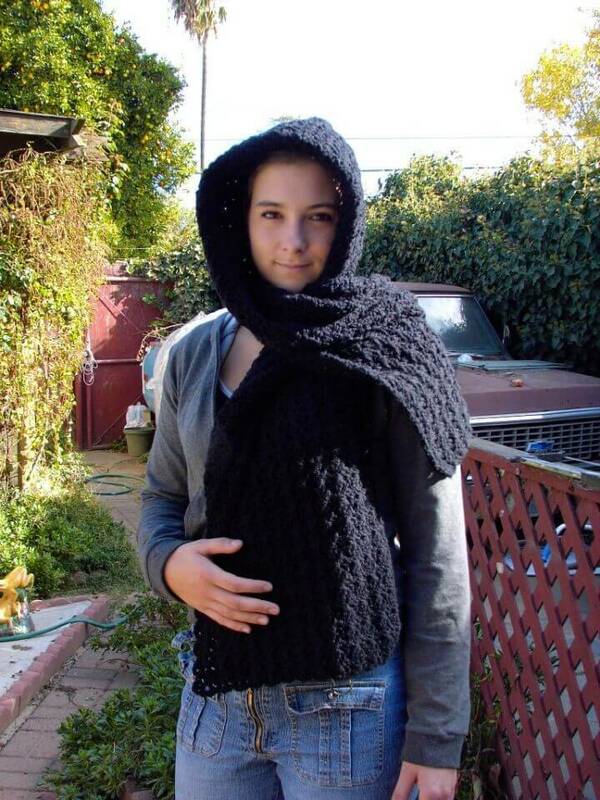 Just check out these 31 free crochet hooded scarf patterns that are all outstanding would cover your neck and head cozy along with creating bigger fashion statements of your personality! 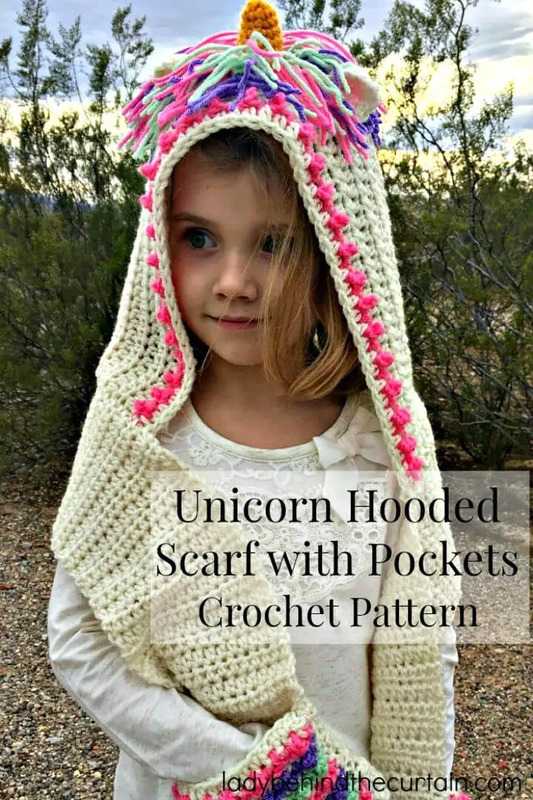 The crochet hooded scarf designs or hooded scarves also has the second name the scoodies and they just make an outstanding gift too for every little baby or kid to style-loving teen girls and ladies! 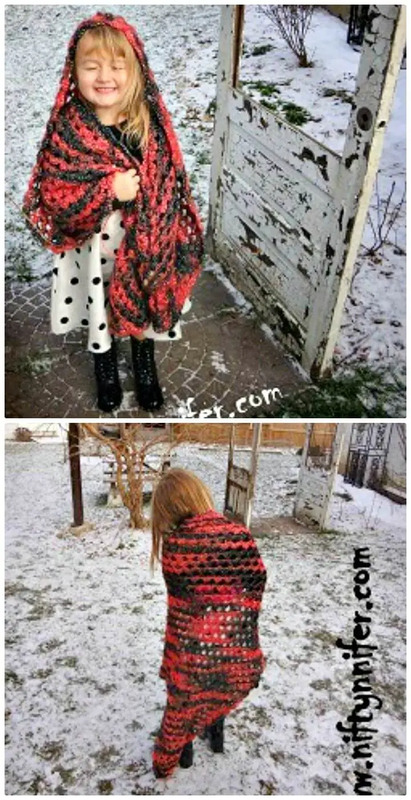 Moreover, they are a great wardrobe must-have for every fashion enthusiast who wants winter protection while scoring more fashion points! 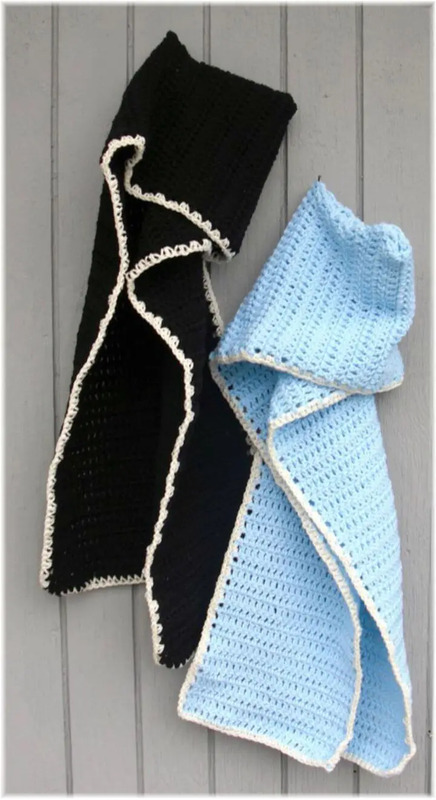 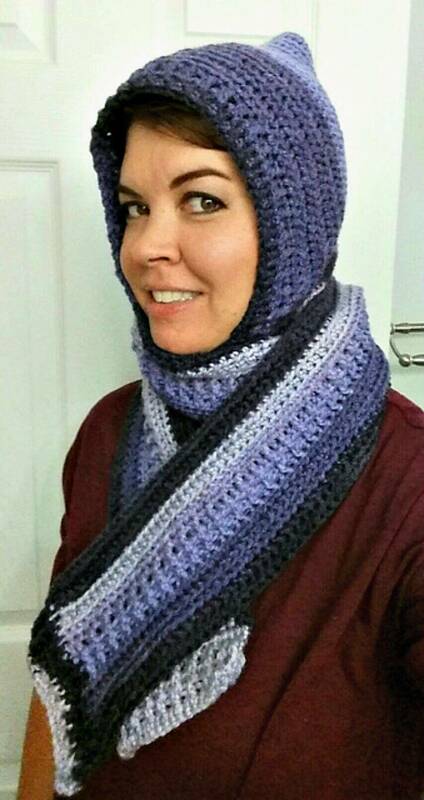 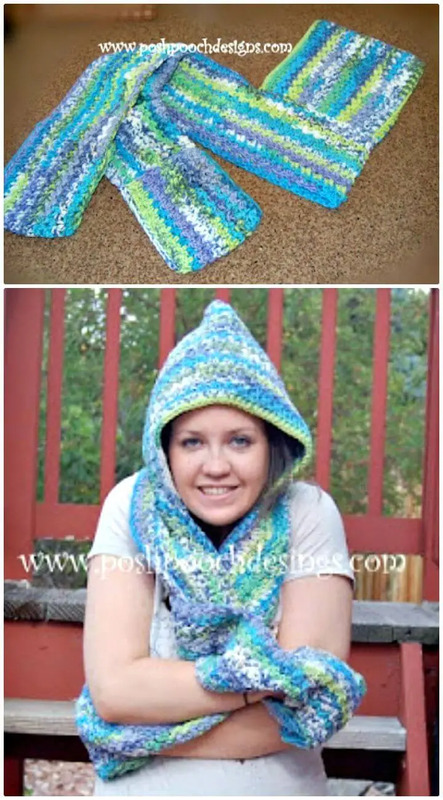 So, if you are having great crochet skill then you can simply crochet the hooded scarves without crocheting the hats and scarves separately! 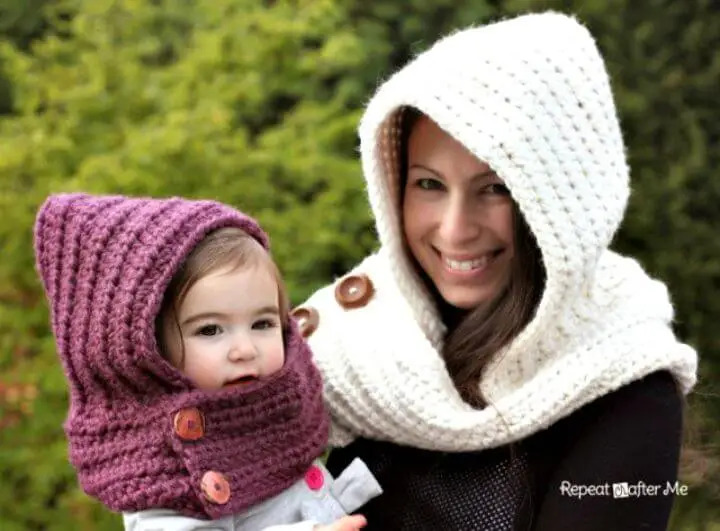 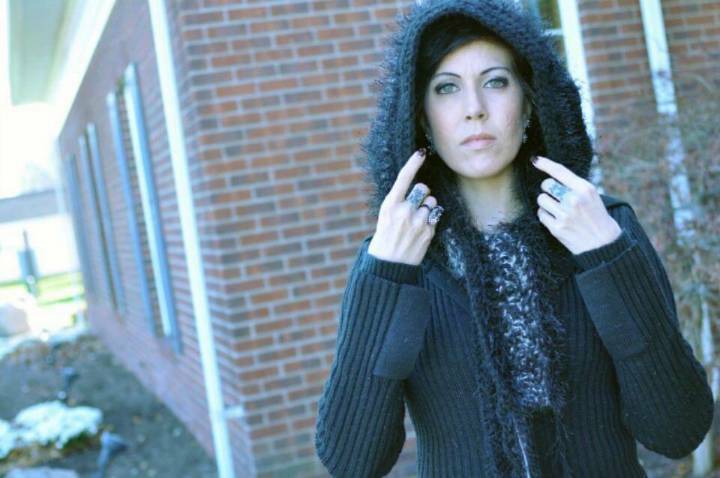 Whether you are willing to enjoy an outside walk in fall or just willing to go for a market visit in the dead of cold, the crochet hooded scarves will just be a great fashion accessory for every purpose! 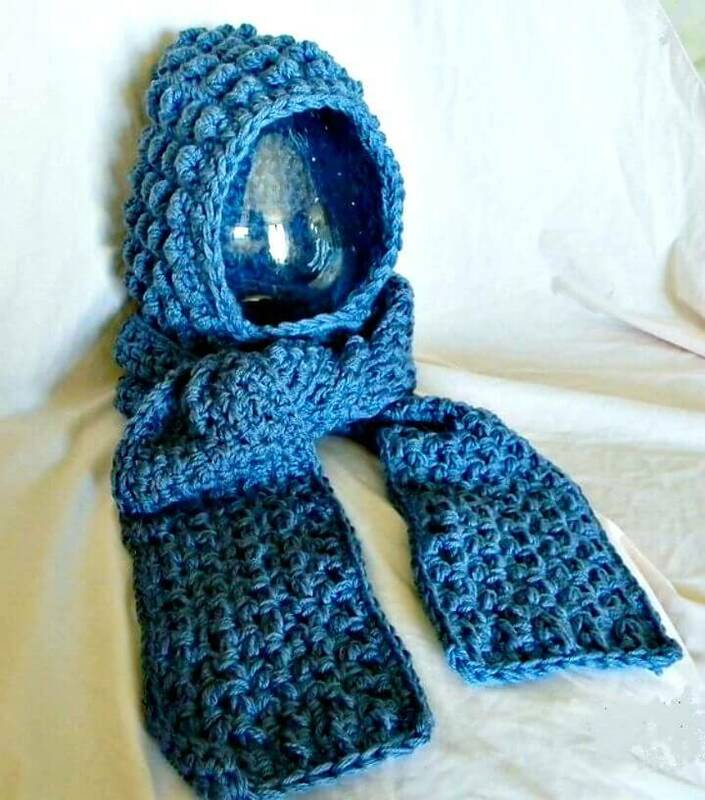 Crochet the motherhood hooded scarf, a handsome crochet gift for your mother and comes with a tight scarf wrap around the neck! 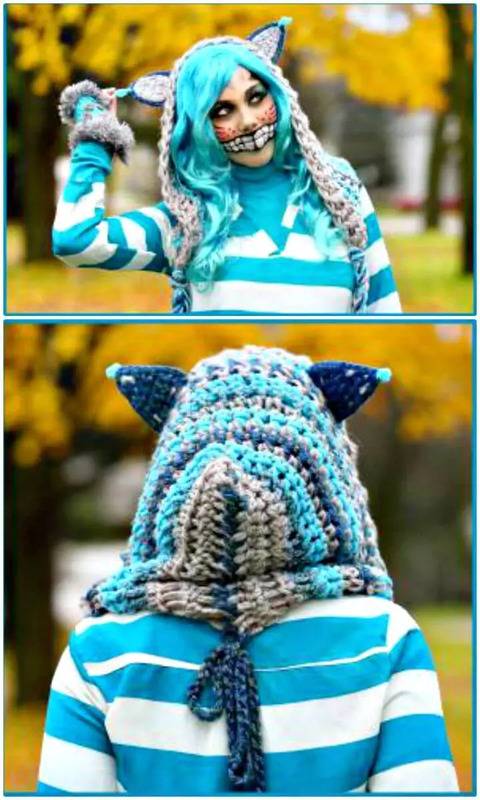 Crochet the precious Cheshire cat hoodie that will rock with if worn with a Halloween costume, check out the given sample that is outstandingly great and mind-blowing! 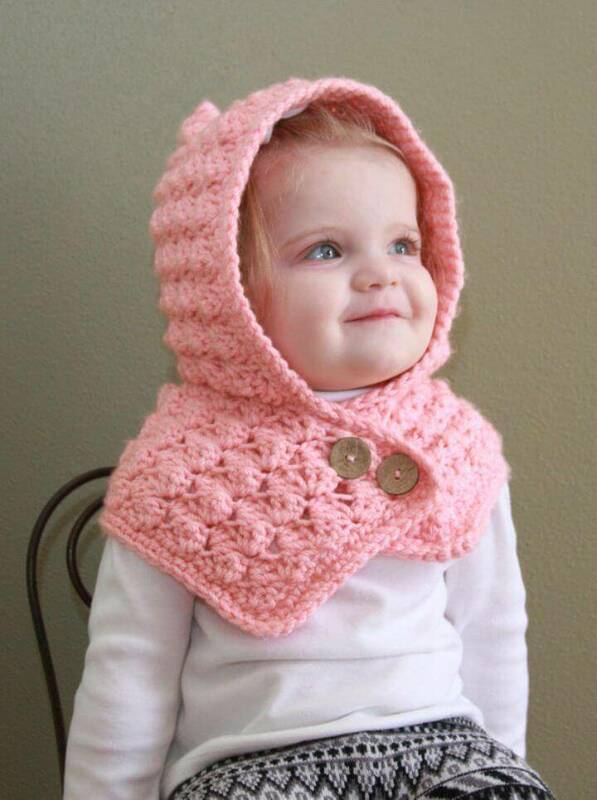 Crochet the precious striped hooded scarf that will keep you warm along with maintaining a cute look of you and also hooded buttoned scarfie for your little baby girl and double up her cuteness! 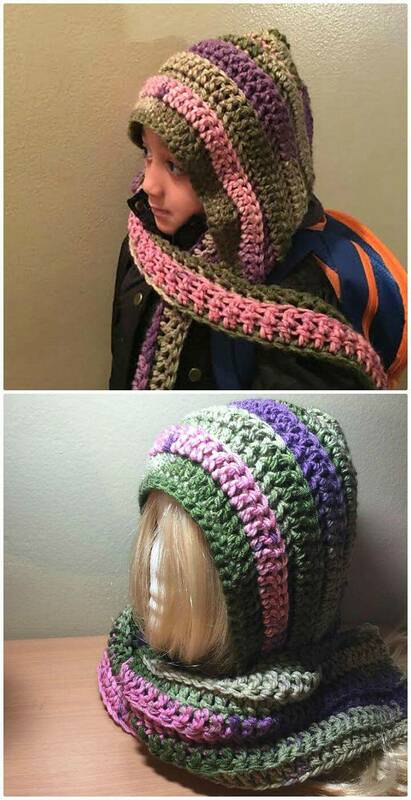 Crochet the hooded infinity scarf for a style loving lady and also crochet a hooded scarf with matching hand warmers that would make an outstanding winter gift for a kid! 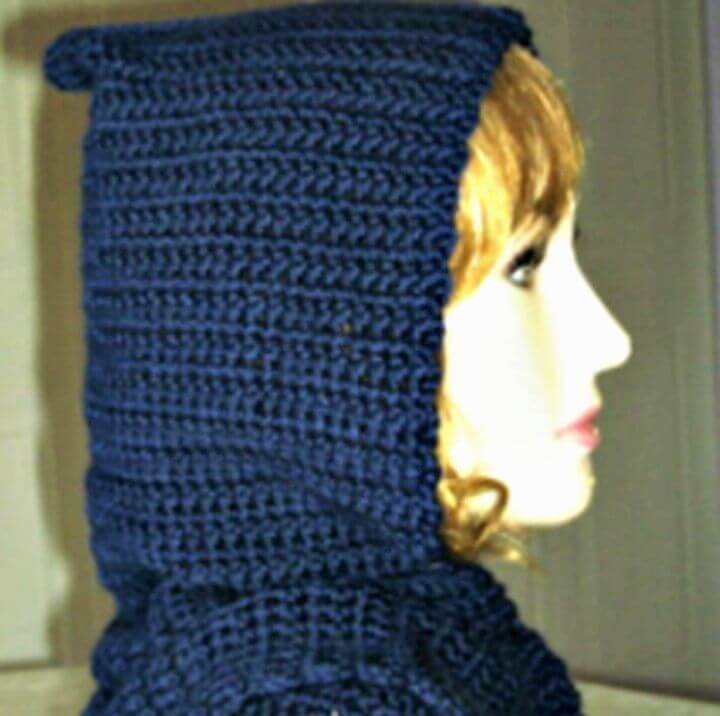 Another sweet scoodie sample is the cuddly cat hooded scarf that comes with crocheted cat paws and will definitely create a cute cat look of any teen girl who loves to look funky! 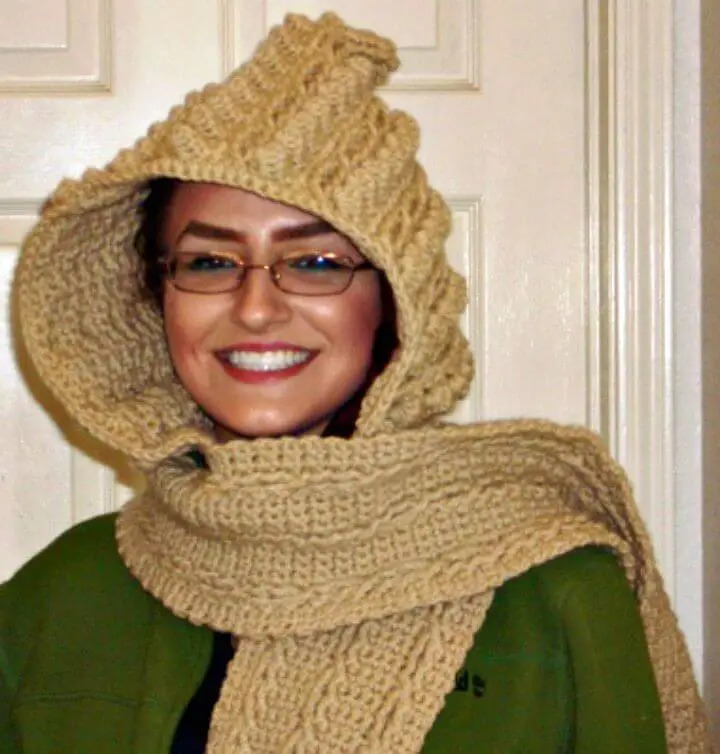 There is a great list of hooded crocheted scarf given here that comes with a brilliantly beautiful design that will definitely inspire you to hook! 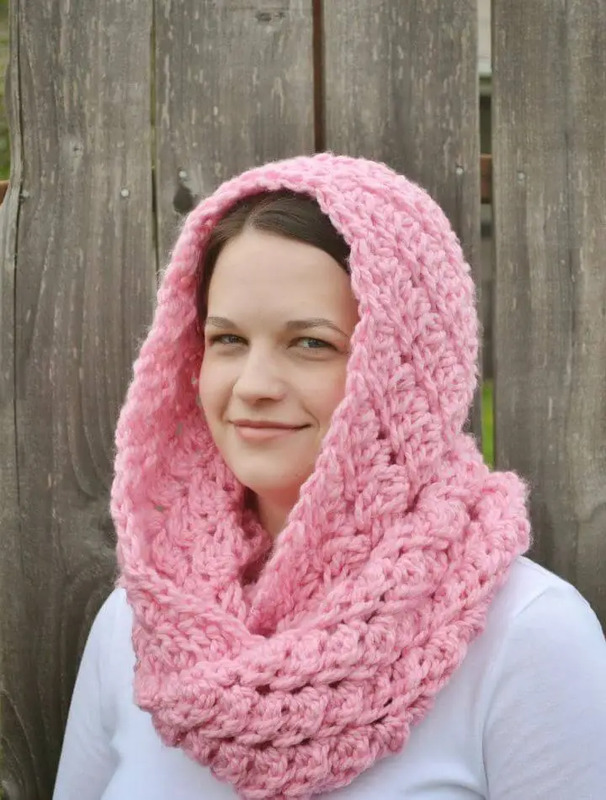 You can go chunky or can crochet the light yarn weights for outstanding hooded scarves and you can also vary your crochet hooded scarf design by varying the crochet stitches and the yarn colors as well! 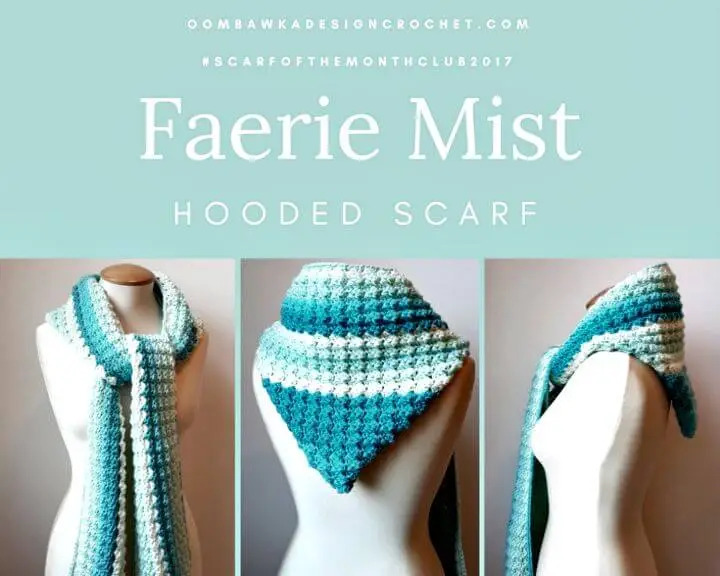 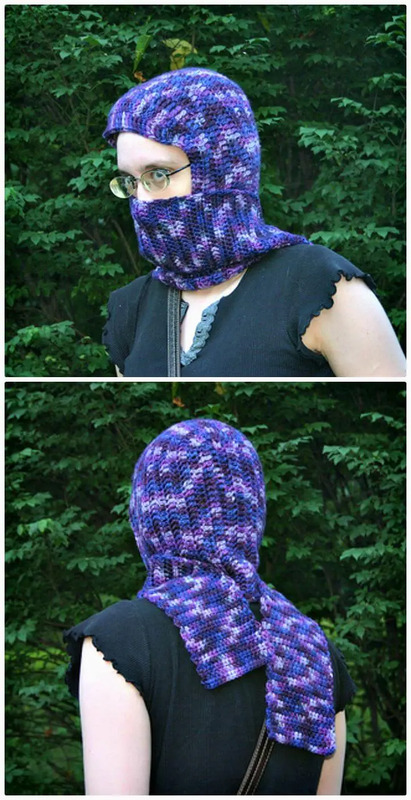 Furthermore, you can also crochet the very odd but great looking designs of hooded scarves, a very interesting example is the given crochet faerie mist hooded scarf that comes with brilliant colorful stripes! 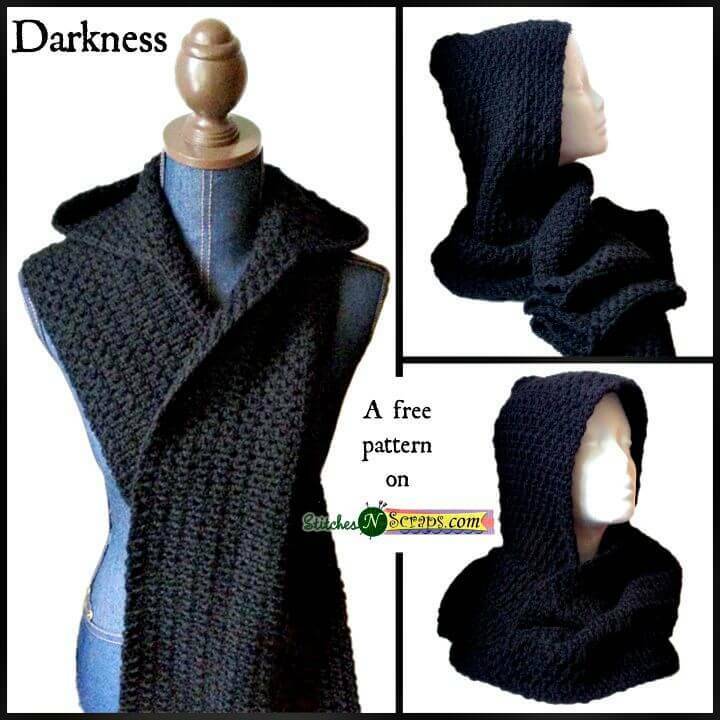 For free patterns and tutorials, simply hit the respective source links!